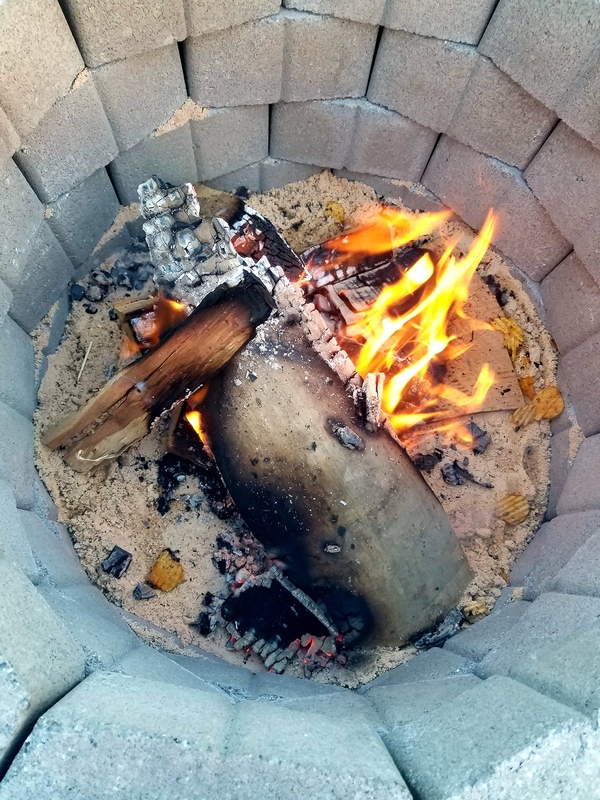 I wanted to share this DIY today because it’s SO easy that you could grab what you need for it today and be enjoying your very own fire pit in time for the 4th of July tomorrow! 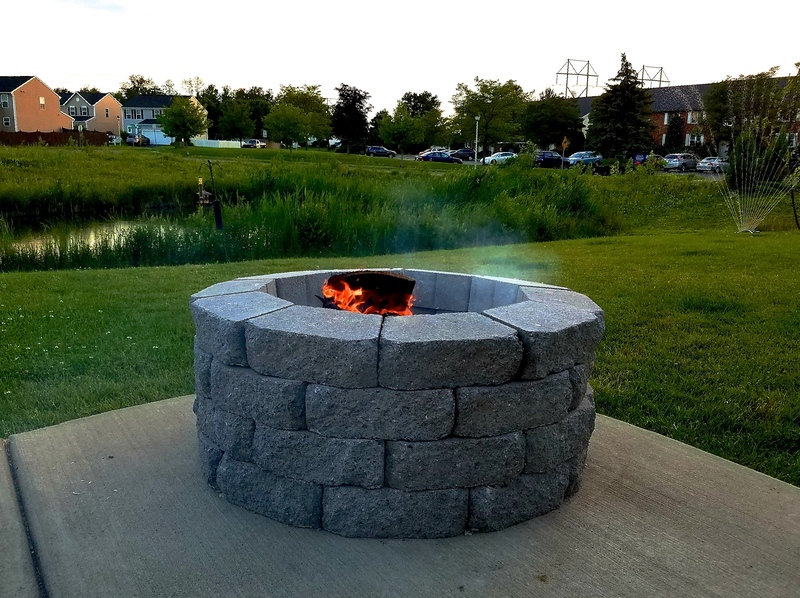 We have a flat concrete patio in the backyard that overlooks a pond so we knew we wanted to build a fire pit to be able to enjoy it. This takes so little time to make and is so easy, it’s a nice little upgrade to any outdoor space! The retaining wall blocks we used to build this were on sale when we bought them so we paid $50 (+ $4.90 for the sand inside and the concrete adhesive) to build our pit. 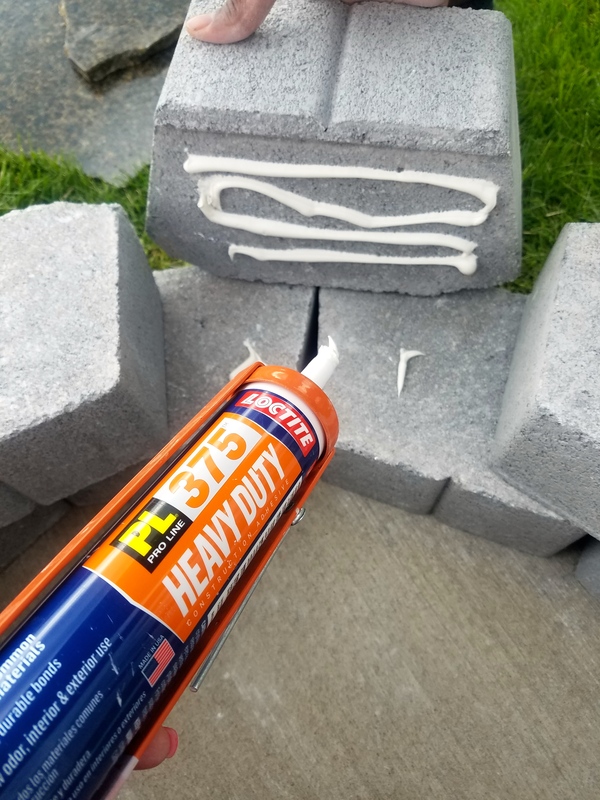 With the current price of the blocks it would cost $71.20 (+ $4.90 for the sand inside and the concrete adhesive). All in all a small price to pay for all the use it will get for 3 seasons out of the year! First thing you’ll need to do is arrange the base circle. You’ll use 10 blacks on each row (4 rows total) and 10 fit into a perfect circle due to the shape and size of the blocks. Put the side with the little lip on the bottom. After you’ve done one row, you’ll put a little adhesive on the bottom of the blocks for the next row and put this row of blocks so the middle of the new ones line up with the gaps on the sides of the first blocks (see below). You’ll continue this for two more rows until the pit is finished! 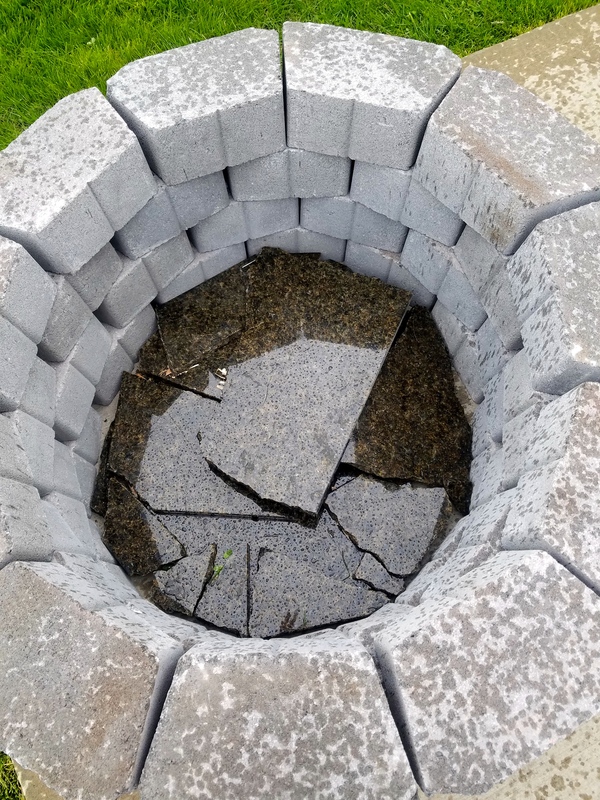 You don’t want to burn a fire right on the concrete of the patio (or grass if that’s where you’re building it) so you’ll need to fill the bottom with sand. We had the leftover granite from our kitchen counters we took out so we put that underneath the sand. If you have anything that handles high heat just laying around, throw it in there! If not, it’s not necessary… just throw in the bag of sand and pack it down (don’t mind the potato chips that also made it into our pit, lol). That’s it! Throw some wood in your pit and start enjoying your summer nights a little bit more! We had our first fire last night and it was so peaceful and relaxing. 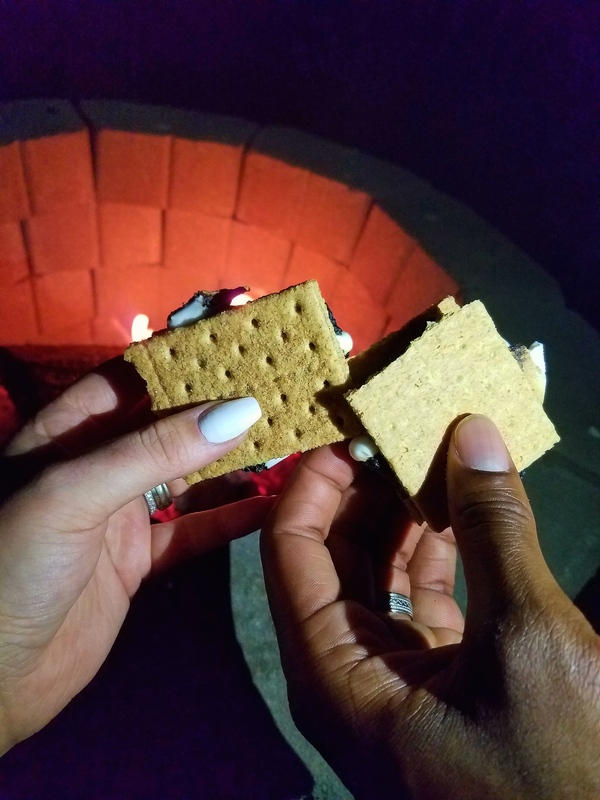 We drank some beers, chatted with the neighbors, made some s’mores and listened to music. It was the perfect night! Wishing everyone a very Happy 4th of July. Awesome DIY! Thank you so much for sharing it – hope your holiday was great!